Sometimes professional training is needed but traveling to a conference is just not possible. This program offers magazine staff members and those interested in starting a magazine the opportunity to take an MTI course as a group on their own time and in their own country. 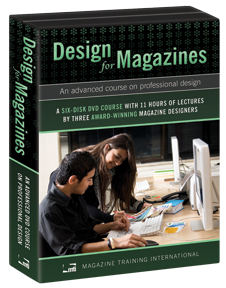 A publisher serves as a host and leads the course using the training available on one of two full-length courses on DVD. The host may also invite a moderator to conduct the training sessions and facilitate discussions. The recommended gathering size is 25 people or less. Attendees should be staff members of one magazine or representatives from several different magazines in a particular area. The approved host will receive a free copy of the DVD course selected. Both courses include a manual designed for attendees to follow as they work through the course. 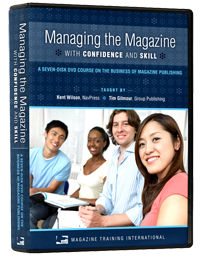 Opportunities for small group or individual exercises give attendees the tools needed to apply the principles in the course to their own magazines. If you are interested in hosting a DVD Course by Extension in your area, please complete the host application form or contact us.